If you’re considering tooth implants, Sydney residents might want to consider the Digital Dental Implants Institute. Using the latest digital technology, we make the processes of dental implant surgery both better and easier for our patients. Our highly experienced team utilise cutting-edge computer-guided techniques for a faster, safer, and more accurate placement. Here at the Digital Dental Implants Institute and at our sister practice the Digital Dental Surgery Sydney, we invest in only the very best technology that makes a real difference to our patients. This is why we use the DIO Navi System. 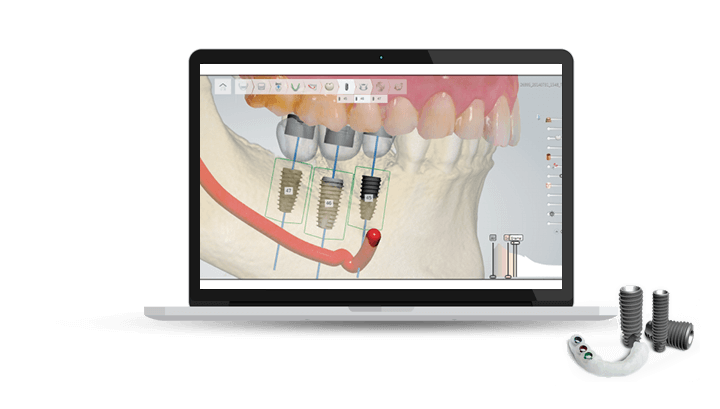 This system uses the latest computer-guided, flapless surgical techniques, allowing dentists to accurately plan and fit a cutting-edge DIO dental implant into a patient faster, and with less risk. Once bone fusion has taken place (usually 2-5 months) the gum is opened up again to expose the dental implant. A few weeks later the permanent crown is attached. Once planning is complete, speedy keyhole surgery takes place which involves placing the dental implant through the gum and into the jaw. As a result, no gum is cut making a faster more efficient placement. Temporary restorations are often placed the same day meaning patients will leave our clinic with a complete smile. So why choose us? We’re masters of digital technology! When it comes to tooth implant cost in Sydney, it’s true that dental implants don’t come cheap, especially when you compare them to other methods of missing tooth replacement such as conventional partial or full dentures or dental bridges. However, in terms of longevity and aesthetics, tooth implants are by far the best option, so actually, when a long-term view is taken, they really are a solid investment. With this in mind, it makes sense to invest in the best you can, because in doing so, you’re more than likely to save money in the long run. At DDSS/DDII our Sydney dental implant institute is proud to be at the forefront of digital dentistry here in Sydney, where everything from treatment planning, impression taking, and dental X-rays have all been digitised. So, in addition to offering our patients the most advanced flapless dental implant surgery techniques, we have the technology to make uncomfortable, messy and awkward tasks like impression taking, cleaner, more efficient, and more accurate for the patient. Our cutting-edge scanning equipment including our Rayscan CBCT equipment can diagnose a multitude of problems helping us to quickly and accurately plan treatments; while our CAD/CAM milling equipment allows us to transfer imaging data directly to our in-house laboratory where lifelike crowns for dental implants, bridges and veneers can be manufactured digitally. 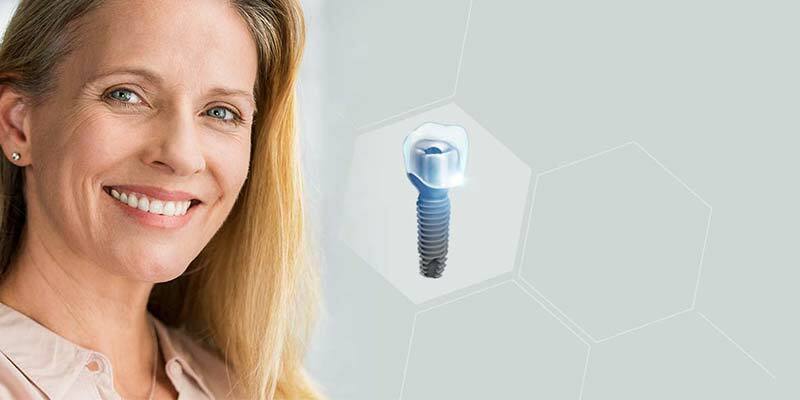 Ultimately, because every aspect of our dental implants treatment is carried out in-house by our highly experienced team, all this technology helps to keep the tooth implant cost in Sydney down. Using our DIO Navi system, we make the whole process of implant-based restorations, more efficient and more affordable for our patients. We offer the latest full-size DIO dental implants or same day All-On-4 tooth implants that allow multiple teeth to be replaced in just one visit. Whatever treatment you have you can rest assured knowing that our highly skilled team have invested in the very best equipment for your peace of mind. Our digital equipment including our Trios Intraoral handheld devices and our Rayscan CBCT equipment makes identifying dental problems and planning solutions easy. This way patients can be assured of speedier diagnosis and therefore faster, more efficient and cost-effective treatment. Here at DDSS/DDII, our Sydney dental implant centre comes equipped with our very own on-site dental laboratory. 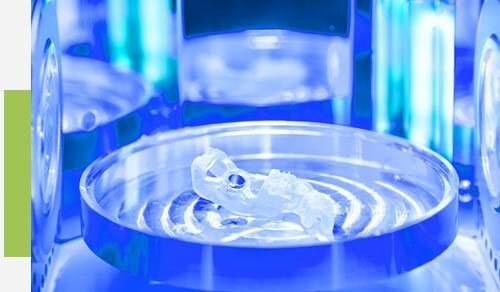 Filled with the latest CAD/CAM 3D printing and milling equipment it allows us to design and fabricate a wide range of restorations such as veneers, inlays, onlays, and of course truly lifelike crowns to fit a dental implant. Because we don’t have to outsource this part of the process to a third party, it means that we can keep our dental implant cost in Sydney, and many other treatments, competitively priced. How does the digital dental implant process differ from conventional dental implants? Although the end result of the dental implants process is the same, how that implant is delivered differs. Digital implant restorations use a computer-guided technique which allows the process to be streamlined. This results in faster treatment with fewer visits and a speedier recovery. Why is digital implant surgery better all round? Quite simply because flapless surgery techniques mean that the process is carried out without incisions and without stitches. Ultimately the procedure itself is shorter so patients spend less time in the chair making it easier for people, particularly those who feel nervous or anxious. You mentioned fewer visits – How many? Generally speaking, fitting dental implants using digital techniques usually takes just 3 visits, although this isn’t taking into account routine follow-ups or any pre-treatments such as bone grafting. Conversely, on average when a patient undergoes traditional dental implants, they’ll need to visit the dentist around 6-7 times. Am I a candidate for digital dental implants? At our Sydney implant centre, we generally tell people that anyone who is a good candidate for conventional implants can undergo digital tooth implants. Indeed, in some cases because of the accuracy of digital implant placement and the fact that bone grafting might not always be required, not only might you now be a more suitable candidate but you could also benefit from lower Sydney dental implants prices. What technology is used in digital dental implants? Firstly, several types of imaging technologies are used. These include Panoramic CT scanning using our Rayscan equipment and oral scanning taking digital pictures of the inside of your teeth. These combine to make a 3D model of your teeth and jaws. Our DIO Navi system is used to guide and place the implant and our CAD/CAM equipment is used to design and fabricate your permanent crown/s. What exactly is virtual surgery? This is the key part of the process. Utilising the 3D mock-up of your teeth and jaw our highly skilled dentists plan the surgery. This allows them to get the trajectory, direction and depth of the dental implants right before they go ‘patient live.’ Once our team are happy, the surgical guides that streamline the whole procedure are made. As a result, surgery can be considerably quicker. How long will my digital dental implants last? Studies show that most implants remain in place for several decades and more, but some have been known to last longer with no signs of wear or tear. As with conventional implants, however, it depends on how well they’re looked after in the coming years. The best dentist Sydney CBD has to offer? We’ll let you decide! Remember, if you’re looking for the best implant dentist in Sydney, perhaps one who is at the cutting edge of modern dentistry is a good start. Here at the Digital Dental Implant Institute and our sister practice, the Digital Dental Surgery Sydney, we’re a Sydney Implant institute you can trust. So why not call us on (02) 9158 6326 – Sydney or (02) 4058 2836 – Gosford.